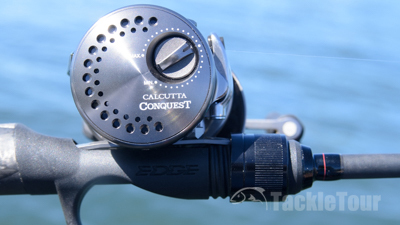 Introducing Shimano Japan's Calcutta Conquest BFS. Impressions: The first thing to strike you when lifting the Calcutta Conquest BFS out of its box is the reel's finish. It does not feature the traditional gold/bronze anodizing of its Conquest brethren but instead has its own stealthy pewter finish. 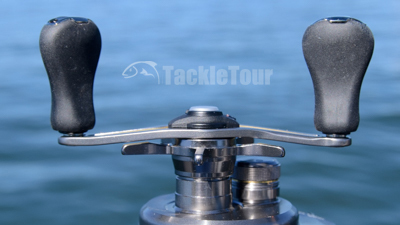 The reel's size is the same as the recently updated Conquest 100/101 meaning the non-handle side of the reel is more like an older 50 sized conquest while the handle side with the gearbox and all is a bit larger. Shimano has gone through great lengths to increase the ergonomics of the Conquest lineup and it really shows in the 100 sized versions of these reels. The combination of sharp and rounded edges guide our eyes around the sculpture of the reel's overall shape. 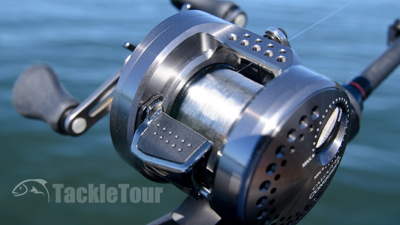 Once you get past the size and finish of the reel, there's a lot more to admire. The combination of sharp and rounded edges guide our eyes around the sculpture of the reel's overall shape. Fine details like the textured spool tension knob and the poetically curved line guide leading around to the traditional ported sideplate are demonstrative of a fully machined, aluminum frame and slideplate reel. I paired this reel with my Edge Rods Black Widow Drop Shot 6100-1. 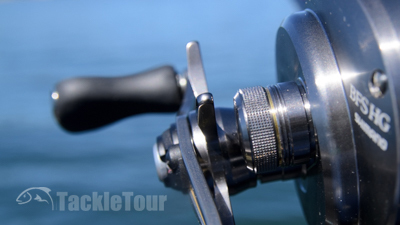 Real World Tests: I could go on for an entire article about the artistry of this reel, but when it comes down to it, we all want to know how it fishes so I reluctantly paired it with my Edge Rods Black Widow Drop Shot 6100-1 casting rod for a few trips out on the water. Actually, that was for the reel's initial test. On subsequent trips, I paired it with my Phenix Rods TX-713C K2 as I continue to uncover newfound appreciation for this stick with each passing season. The reel was spooled with five pound Sunline Sniper Fluorocarbon. 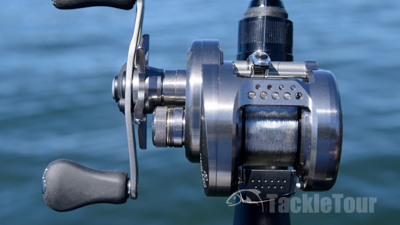 The reel's refinement extends all the way to the cast control knob and dragstar. Casting: Shimano's Calcutta Conquest BFS shares the same, finesse tuned braking system originally introduced in their 2016 Aldebaran BFS. This is also the same system found in the 2017 Scorpion BFS. It is a magnet based system with an externally adjustable, non-ratcheted (no clickies) dial that turns just short of a full 360 degrees in adjustment. 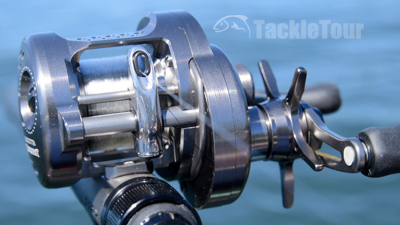 I fished everything from drop shot rigs to finesse jigs to small cranks with this reel. My primary technique when fishing this reel was a drop shot rig, but I did tie on some finesse, ball headed jigs (approx weight 5 grams) just to test this reel's capabilities and was rather impressed with the results though having said that, for baits that are not very aerodynamic, like that finesse jig, I'd still rather use spinning tackle. However, for very weight forward offerings like a drop shot rig, the Conquest BFS is a very real alternative. The Conquest BFS comes with an 84mm handle.